Lean manufacturing or lean production, which is often known simply as “Lean”, is a production practice that considers the expenditure of resources for any goal other than the creation of value for the end customer to be wasteful, and thus a target for elimination. Working from the perspective of the customer who consumes a product or service, “value” is defined as any action or process that a customer would be willing to pay for. The Toyota was the first company to introduce “lean manufacturing” concept in its production system. 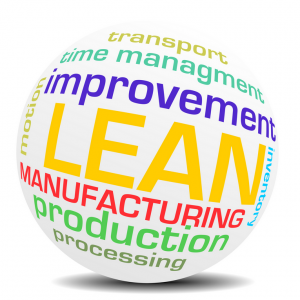 Lean manufacturing focuses on reducing waste.